1. 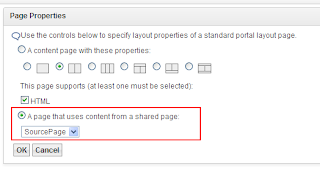 Shared pages enable you to share a layout model with multiple pages. After a page is shared, other pages can reference the layout of the shared page. 1. Create a page called “source page”, make sure you select the “other pages can share the content of this page” option . Note: “A page that uses the content from a shared page” option available only when you have at least one page on the portal is shared as in step 1.
a. User with “privileged user” access on page can customize the page. 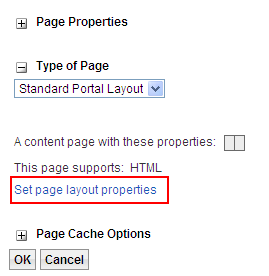 In this case portal implicitly creates derived page from actual page for that particular user. a. In explicit derivation, user with appropriate permissions chooses a page that will serve as the base layer of layout information. A new page is created that will use the layout information of the base page. 3. 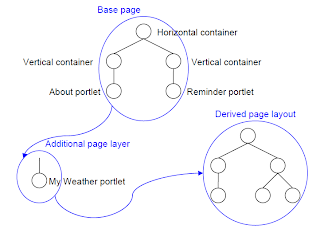 Scenario : Base page has two portlets (about portlet , reminder portlet) . 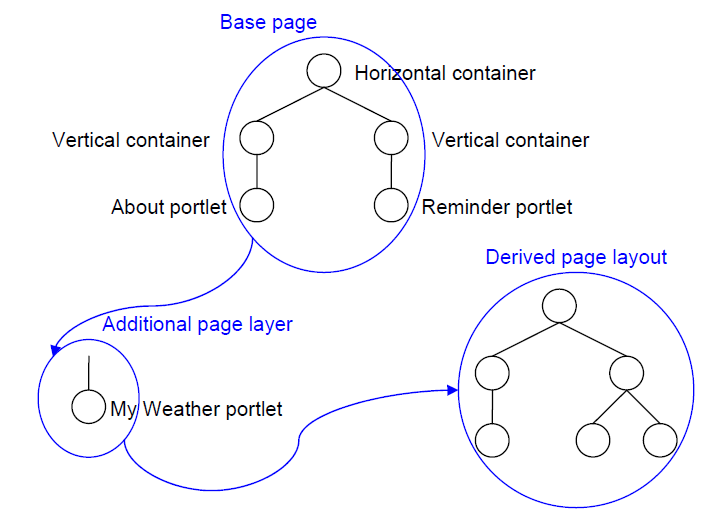 User created the additional page based on the “Base page” and then added “weather “ portlet to derived page. 4. Changes made to the original parent page may be reflected to the derived pages that reference it. 1. If you delete a page that is referenced by another page, all pages that reference that page are deleted. 2. If a portlet is deleted from the page that is referenced, the portlet is deleted from all pages that reference that page, and all individual user settings for that portlet are lost. 3. If content is locked on the page that is referenced, content is locked on all derived pages that reference that page. 4. 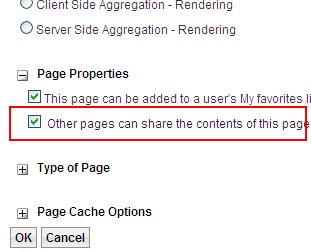 The user must have access to the original page to access the derived page. Therefore private pages cannot be shared in this manner. 5. A user is only able to see a layer of the page if appropriate access is given i.e. must have the User role for every layer above theirs in order to see the content of the previous layers. 6. 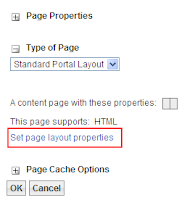 The markup specified for the root page cannot be modified on derived pages. The whole derivation tree structure with all layers supports the markup that is specified on the root page.